I am super excited to announce that on Tuesday, February 28th from 2-10 PM PST, Animation is taking over Twitch! 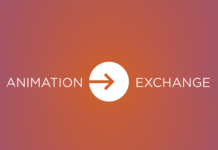 The Animation Exchange takes the knowledge sharing and powerful community of art and development conferences and makes it accessible to all. 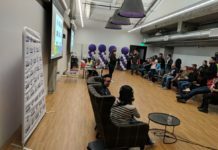 Bringing together developers in both AAA and Indie, and leveraging the open platform of Twitch, this event will shine a light on different approaches to character animation — From highlighting the most recent tech, to examining traditional animation skills and revisiting classic games, this digital convention will illuminate the animation experience in game development. For 8 hours, our stream will be dedicated to interactive experiences with animators, programmers and technical artists. 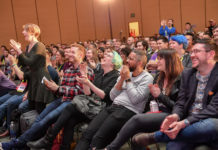 This event will have talks to inform and to entertain, whether you are an experienced developer, aspiring student, or simply an avid player wanting to learn more about how life is brought to your favorite characters on screen. This is something we have been building towards for a couple of years now in our effort to further democratize the sharing of knowledge across the industry. And with Twitch sponsoring us on their official channel, this free event is about as open and available as we could ever dream! So make sure to mark your calendars and spread the word, because this is the next step in how we grow and make knowledge available to the entire animation community. 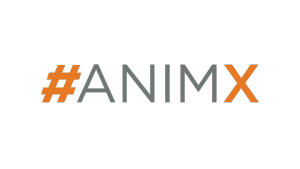 And here your #AnimX Lineup with animators and devs from Blizzard, DICE, Epic, Naughty Dog, Riot, Ubisoft and more! We start the day with a panel of animators taking questions live from the Twitch chat. If you have a question about game animation, these are the people and this is the time to ask. Schools are great for teaching the fundamentals of animation theory and workflow, but what about the stuff they DON’T teach? Working in the industry takes much more than just animation chops. Get some insider info from two unique perspectives on the skills you can only pick up from spending time in the highly-competitive and fast-paced world of game development. This talk covers our effort to animate characters and creatures with contrasting moods and emotions, working within the tight constraints of a top down action game. Spider-man 2 The Movie Game was the first in the franchise to emphasis the web-slinger’s unique methods of locomotion as well as one of the earlier open world superhero games. After it’s release in 2004, Spider-man 2 went on to become one of Playstation 2 Magazines “Top 100 PS2 Games of all time”, one of ScrewAttacks “Top 10 Movie Based Games” and one of the titles in the book “1001 Video Games to Play Before You Die”. During this Animation Flash Back Session, two of the animators from the team, James Zachary (Animation Lead) and Ryan Duffin (Animator) will reunite to dust off an old PS2, boot up the game and discuss the time they spent developing Spider-man and give a behinds the scenes look at what was needed to bring to life our beloved web-slinger. Have you ever wondered how animators get their animations in game and make them part of an interactive character? Have you heard about “state machines” or “blend spaces” but aren’t quite sure what it all means? Watch Jay and Laurent setup an animated character in Unreal where they will cover these topics and more. Assassin’s Creed has become one of the best known franchises in video game history since it’s original release in 2007, but very little is known how it became that. 10 years on, this flashback sheds light on a particular part of that development. As the Lead Combat Animator on the Original Assassins Creed, I will offer a unique insight into how the Combat System was developed. By sharing the thought process, inspiration, conception, challenges and goals of the system that will appeal to fans of AC and developers alike. Do you like MOBAs? So do these three animators working on “Heroes of the Storm” (Blizzard, Lana Bachynski), “Paragon” (Epic Games, Jay Hosfelt), and “League of Legends” (Riot Games, Alex M. Lehmann). 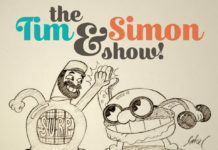 In this talk the three of them will chat about animating a few of the iconic characters in these popular games. Expect to hear some the behind-the-scenes “war-stories” from a couple of years of development on these titles. Oh, did we mention they’ll play their games while chatting about it? Grab a drink, prepare a question or two, and join us for an hour with your favorite MOBAs. For both new and experienced animators, it’s always helpful to revisit the basics. This talk covers the founding principles of animation and in what ways they apply and work in games. This panel of animation programmers will discuss their relationship to animation and design, their impact on the responsive vs realistic debate and what their thoughts are on the newest animation technology making a buzz in the industry. From initial idea to final polish, animation and design at Naughty Dog work in lockstep to pre-vis, prototype then assemble memorable and cinematic story sequences with the aim to keep the action as “on-the-stick” interactive and exciting as possible. Fine, God-Dammit! We’ll Review it Live! Gwen and three other unfortunate animators are strapped to a couch. They are forced to drink cold beverages and chat about animation in games while watching a series of curated animation clips. Some clips will be from high profile games that have recently released, and some clips will be damning examples of game animation gone wrong. Gwen will be curating, and she will be the only animator with prior knowledge of what is being shown. The other animators are going in blind. Towards the end of the show we will invite the audience to link other clips for us to respond to. You can link us your demo reel (god help you), a clip of your favorite moment in a video game, or whatever else you would like us to talk about. Thank you and parting words. Is this event part of the animation bootcamp? On site at GDC or offsite? This isn’t directly tied to the bootcamp or GDC. This will be held offsite. We are looking into how many people we can hold, and if a live audience is possible. We will certainly update with that info once we get closer, for anyone that is at GDC and would like to attend in person. Thanks for the update. I would love to attend in person if possible since I will be in town at that time. Sadly, it doesn’t look like we will be able to have anyone attend the event in person that isn’t part of the stream. Sorry Michael. But we will still have the bootcamp and the rest of the week to hang! Where was the Twitch Stream I couldn’t find the channel so I want to watch a replay if possible. What is the Twitch Channel name? Fear not! You haven’t missed the stream. It is taking place on February 27th.